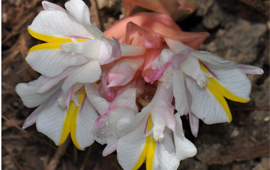 The first annual conference of Southeast Asian Biodiversity Research Institute, Chinese Academy of Sciences (CAS- SEABRI) was held in the Xishuangbanna Tropical Botanical Garden (XTBG) on January 17-19. To promote the academic exchange and summarize work in 2016, and seek ways for development in the future. 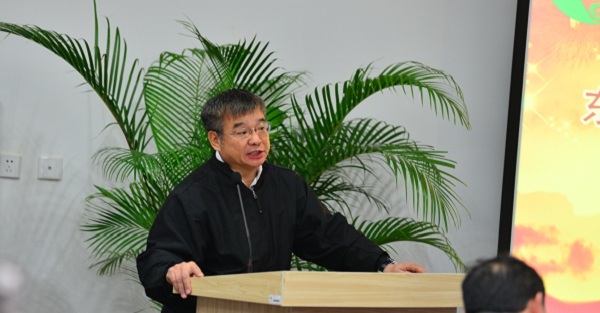 Mr. Jinghua CAO, director general of the Bureau of Intenational Co-operation CAS, delivered an opening speech. He reviewed the achievements made by the CAS in the past year, , especially precedent Jinping XI's affirmation of the CAS work. And he pointed out that the CAS- SEABRI as one of the nine overseas centers of CAS, should seize the strategic opportunity of the "going out" and " the Belt and Road ", to increase international cooperation, build an international scientific cooperation platform. He said the establishment of the Myanmar Center and more research groups have laid a solid foundation for the future development of CAS-SEABRI, and CAS will be a solid backing for the development of CAS-SEABRI. 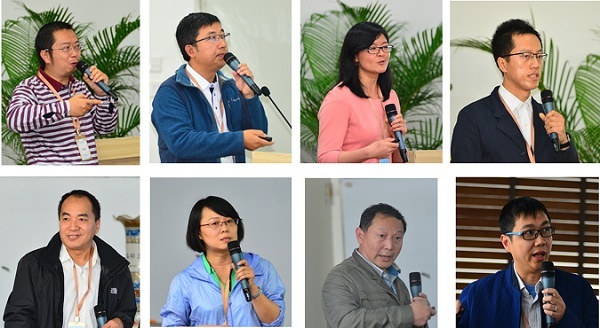 Prof. Jin CHEN, director of Xishuangbanna Tropical Botanical Garden (XTBG) and director of CAS-SEABRI, summarized achievements in organization and operation, international cooperation, talent cultivation and scientific research progress in 2016. He also deployed work plan in 2017 and raised tasks which should be tackled by cooperation among concerning institutes. At the meeting, three research teams and five international cooperation programs reported their work progress. which fully demonstrated the achievements of CAS-SEABRI. They also proposed such as funds, staff, procedure in exchange visit. 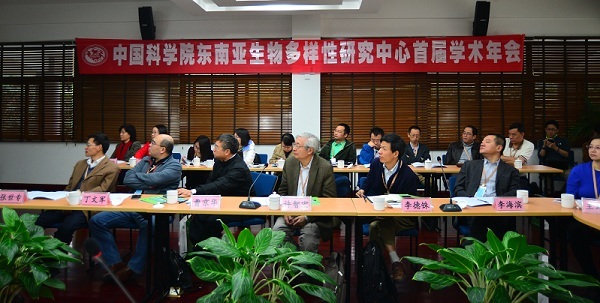 In order to encourage the research team to actively explore, the annual meeting set up an excellent project selection process, academician Zhihong XU, chairman of Academic Committee, together with other Committee members conducted a comprehensive assessment among the research programs. Finally, The research programs with Dr. Shuqiang LI of Institute of Zoology and Dr. Luxiang LIN of XTBG as principal investigator respectively won excellence award. After the project evaluation, Ms. Shuangyun ZHOU reported the Enrollment of Master in 2016 and Enrollment Progress in 2017. Then, all participants expresses their opinion on difficulties encountered in the current work, as well as the tasks, division of labor and enrollment plans, significant results output and so no. The meeting conclude that CAS-SEABRI should integrate the advantages of various units, combined with national development strategies, service diplomacy, appropriate consideration of local livelihood and the actual needs. Targeted to carry out work, and speed up the platform construction, bringing together scientific and technological achievements, to achieve 1 +1> 2, and output of major achievements, than expand the influence. In addition, since field work is part of the regular work of CAS-SEABRI, safety is of top concern of the attending researchers. CAS-SEABRI should put safety of the researchers as a priority. 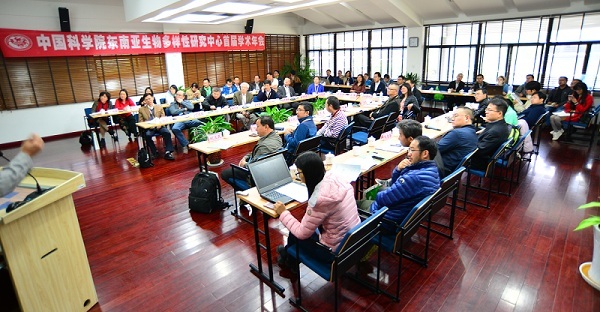 The annual meeting was attended by 50 researchers from CAS Bureau of International Cooperation, Kunming Branch, XTBG, Institute of Zoology, Institute of Botany, Institute of Microbiology, Kunming Institute of Botany, Kunming Institute of Zoology, Chengdu Institute of Biology, Institue of Aquatic Biology, Yunnan University, etc.